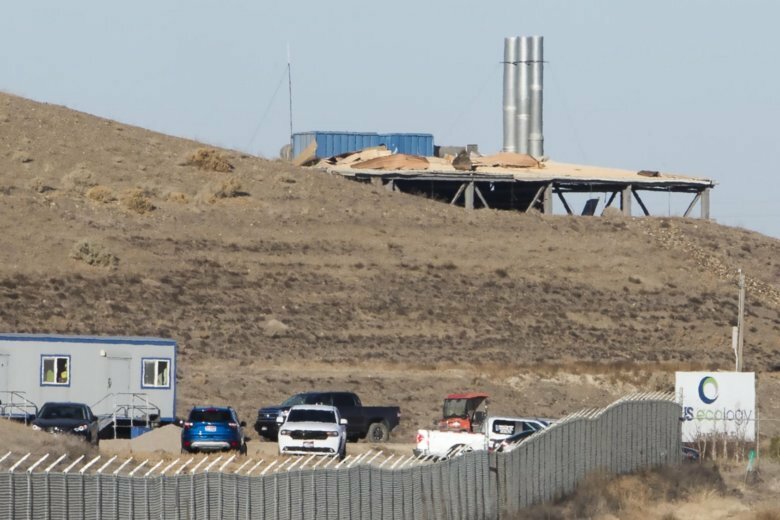 BOISE, Idaho (AP) — Air monitoring systems were set up Tuesday to check for low-level nuclear radiation and other harmful contaminants following a powerful weekend blast at a hazardous waste site in Idaho that killed a worker, destroyed a building and damaged other structures, an official said. Officials said it’s not clear what caused the explosion. US Ecology takes in low-level radioactive waste, but none of the material was believed to be near the explosion on Saturday, Crawshaw said. The facility also accepts contaminants such as arsenic, lead, zinc, cadmium and other metals. It’s also unclear if containers holding any of that hazardous waste were damaged in the explosion. “The building was demolished,” he said. Other buildings at the 200-acre site also sustained damage, and an inspector was examining them to determine if it’s safe to enter. “At this point, the investigation continues,” she said. The company previously identified Monte “Alex” Green of Grand View, Idaho, as the worker who died in the explosion.